There are 42 cards and 13 Christmas Cards now on the Card Buffet for the fall! Whew!! It will be available at the crops or host your own with your friends! You can come to my place or I can come to yours! Thank you for visiting my corner of the internet. I know that you have lots to do and appreciate your time. Take some time out to make some fun, fast, and easy cards to have on hand with the Fall 2018 Come and Play Card Buffet. Don’t forget to join the Happy Mail gathering when you check out for more free fun! Highlight the unique things that are important to you with The Important Things Everyday Life™ workshop. This workshop shows you how to create eight 6″ × 8″ layouts plus a title page and a closing page for an Everyday Life™ album. Thank you for visiting my corner of the internet. I know that you have lots to do and appreciate your time. Take some time out with this new kit, The Important Things. Don’t forget to join the Happy Mail gathering when you check out for more free fun! Guess What!! A new Boutique Card Workshop! I just got this awesome workshop edited for Studio Sus! You can make 24 cards with this kit. The cards are beautiful. Here’s the stamp set you need to have. It creates such beautiful flowers. The 2-step stamping means you don’t need to color! I have 3 extra kits that I cut!! The first 3 people to sign up as a consultant for CTMH will get one of these kits for FREE. It’s cut and ready for you to thin cut/stamp/assemble! You’ll need to purchase the additional supplies, noted above, to make this kit. These samples are a great way to get a jump start in sharing CTMH with your friends and family! Thank you for visiting my corner of the internet. I know that you have lots to do and appreciate your time. I look forward to seeing everyone and catching up. Don’t forget to join the Happy Mail gathering when you check out for more free fun! Have you checked out the Stamp of the Month for September, S1809 Just Treats? I love this set because of it’s versatility and it has a coffee cup in it! You know I adore all things coffee and my stamp collection reflects this! I thought I’d share a few cards featuring the set. More to come on a couple of the individual cards because they are unique folds. Here’s Christmas with Oh What Fun paper. I love that we have a true green and red again. Here’s a non-seasonal card featuring the Boutique papers. It really helps show you the versatility of this set. Thank you for visiting my corner of the internet. I know that you have lots to do and appreciate your time. You can see that S1809 Just Treats is full of treats not tricks. Don’t forget to join the Happy Mail gathering when you check out for more free fun! Wow – Crop season is starting and are you ready to crop?? I know I’ve been very busy working on getting product ordered in so you can have the best products to tell your stories and preserve your memories! Here’s some fun as we get ready for the Lake Shore Volunteer Fire Department Crop with Jane on September 22 and the Harbor Scrapbooking weekend September 27-30, up in Camp Hill PA. We have about 10 new cards on the Come and Play Card Buffet as well as Christmas Cards starting to work their way in! I am looking forward to seeing everyone and catching up on your lives! Thank you for visiting my corner of the internet. I know that you have lots to do and appreciate your time. I sure hope you are ready to crop because I’m almost ready to go. I look forward to seeing everyone and catching up. Don’t forget to join the Happy Mail gathering when you check out for more free fun! This is one of my favorite Card Workshop Your Way, “Hugs to You”. 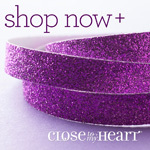 It features the Boutique papers and the Sugarplum, the color of the year! Create 12 cards using the materials in this kit and easy-to-follow instructions (also found below). Complete your cards using the exclusive stamp images designed to give you ultimate control over the creative process, so you can always make your cards your way. Thank you for visiting my corner of the internet. I know that you have lots to do and appreciate your time. Hugs to you and have a creative day. Don’t forget to join the Happy Mail gathering when you check out for more free fun! We got to create one of the Short Story albums during Convention this summer. I felt so lucky to get a chance to create this with Stacy Julian! I confess it was a little stressful to create because you are looking doing a “mash-up” of your photos to tell a short story. Not chronological. Gasp! The only real journaling is on the last page of the book. Whew, right?! In the end, I was thrilled by what I had created. It worked out so much better then I thought it would. 1 – white twine; 1 yd. 1 – black & white gingham ribbon; 3 yds. Thank you for visiting my corner of the internet. I know that you have lots to do and appreciate your time. Be watching for some videos on the Short Story from Story by Stacy. Don’t forget to join the Happy Mail gathering when you check out for more free fun! You can get your copy of the Holiday Expressions FREE when you place any order through my shopping site! I’m so excited about this for my customers because the Idea Books cost $6.00 before shipping/handling. You can order something as simple as a foam sponge or maximize your savings on shipping by ordering up to $100 (shipping is $5.00 or $8.00 from $1-$100). There are so many wonderful new things to check out. You can view it online by clicking HERE. The Boutique Workshop Your Way for Scrapbooking offers a deluxe option if you are a more creative person or someone who wants to learn some more techniques! Purchase the Boutique Scrapbooking Workshop Your Way (or any combination of the Boutique products valued at $25.00 or more) and you can get the directions for this workshop done by Tina Lovell for FREE). This will give you plenty of options for creating with Boutique! Thank you for visiting my corner of the internet. I know that you have lots to do and appreciate your time. Get your Holiday Expressions FREE when you order. Don’t forget to join the Happy Mail gathering when you check out for more free fun!